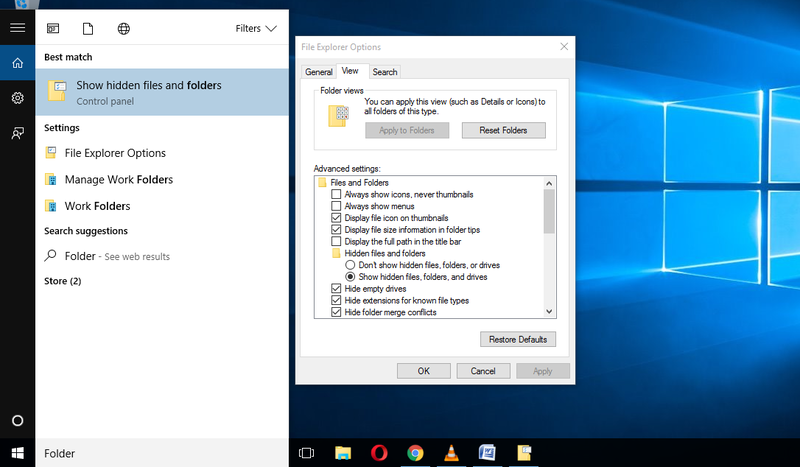 HOW TO DISPLAY HIDDEN FILES AND FOLDERS IN WINDOWS 7. #1. Select the Start button, then select Control Panel > Appearance and Personalization. #2. Select Folder Options, then select the View tab. #3. Under Advanced settings, select Show hidden files, folders, and drives, and then select apply and OK.
#1. Swipe in from the right edge of the screen, then select Search (or if you’re using a mouse, point to the upper-right corner of the screen, move the mouse pointer down, and then select Search). #2. Type folder in the search box, then select Folder Options from the search results. #3. Select the View tab. #4. 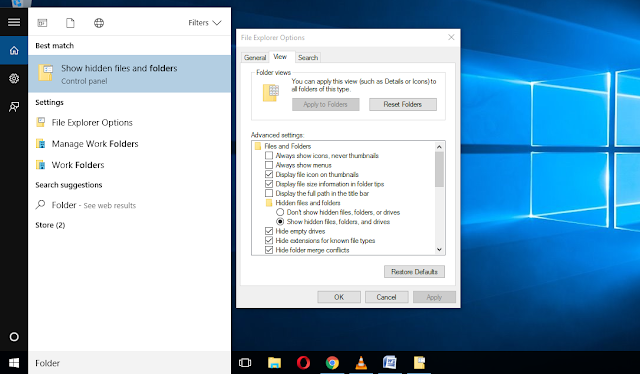 Under Advanced settings, select Show hidden files, folders, and drives, and then select apply and OK.
HOW TO DISPLAY HIDDEN FILES AND FOLDERS IN WINDOWS 10. #1. In the search box on the taskbar, type folder, and then select Show hidden files and folders from the search results. #2. 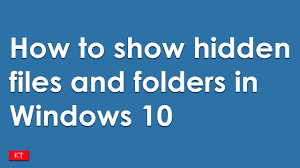 Under Advanced settings, select Show hidden files, folders, and drives, and then select apply and OK.
We hope this post help for show hidden files and folders.applies to: windows 7, windows 10, windows 8, please share this article and leave’s it’s comment’s below! !